He married the widow of an American president, owned the famed Monte Carlo casino and 30 years after Aristotle Onassis’s death, his legacy is Greece’s claim to fame as the world’s shipping giant.The tycoon’s gamble to build supertankers to carry the world’s oil laid the foundation for Greek control over one in five tankers afloat – and a similar share of other cargo shipping. The anniversary of his death March 15, 1975 at age 69 passed with little public notice, but his business inheritors and insiders remember a man who was bigger than life.In 1968 he married Jacqueline Kennedy, widow of President John F. Kennedy, putting Onassis in the international limelight. She died in 1994 and was buried next to the late president.“Today’s business world has become so automated, so corporate, I doubt if the Onassis name will ever be challenged as a byword for old-fashion entrepreneurial wealth and chutzpah (nerve),” Nigel Lowry, Athens correspondent of the authoritative shipping newspaper Lloyd’s List, told Reuters.“He took shipping by the storm, heading the movement to build bigger and bigger oil tankers – all the way up to the modern supertanker,” Lowery said.For 20 years Greece has been the world’s biggest ship owner.“Onassis’s greatest legacy is shipping and the Greek ship owners who followed him,” said Lowery, author of a 2003 book titled “Onassis and his Legacy”. Nikolas Tsakos, president and CEO of Tsakos Energy Navigation, the oil arm of one of Greece’s biggest ship-owning families, said Onassis inspired today’s Greek ship owners and young entrepreneurs.These include Stelios Jaji-Ioannou, founder of budget airline Easyjet and part owner of shipping firm Stelmar.“AHEAD OF HIS TIME”Others are Evangelos Pistiolis, owner of stockmarket listed TOP Tankers who was recently named Greek industry figure of the year by Lloyd’s List, and Peter Georgiopoulos, who in a mere five years has built a fleet of close to 50 ships.“Onassis was ahead of his time in many ways and 35-40 years on from his heyday the world ahs come to realize the importance of international shipping and especially oil transportation,” Tsakos, whose father knew Onassis, told Reuters.“He was the Donald Trump of the shipping industry. 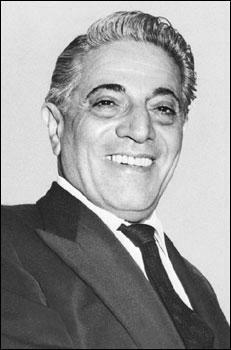 He has inspired a generation of Greek shipowners and given a very unglamorous industry a more glamorous appeal.”Stelios Papadimitriou, a longtime friend and president of a foundation set up by Onassis, believes one of Onassis' strengths was his patience waiting for investments to pay off.From the 1950s until his death…Onassis was rarely out of the headlines.